By refusing to compromise on quality, Cuddeback produces cutting-edge trail cameras that meet the needs of both consumers and retailers. The evolution of the trail camera has been nothing short of phenomenal. I bought my first, a film unit, from a local sporting goods store well over a decade ago. Though I don’t remember the brand, I do remember the camera’s size. Just a shade over 12 inches long and 8 inches wide, the unit took up a ton of room in my pack. The film was a nightmare to load and, once the tiny arms on this tiny circular disk grabbed the filmstrip, the camera produced an awful whining sound. I used that film camera until it finally died, and I managed to pattern and kill a few deer and water-tank-frequenting pronghorn with it. My next camera was digital. It operated off an SD card rather than film, but it still boasted a blasting white strobe for a flash — I had so many images of big-eyed deer. The battery life was substantially better, and the trigger speed was an improvement over the old film model. Typically, this new model would capture full-body critters. I loved it. Although wind and heat seemed to make the unit false trigger regularly, the camera was convenient — I could simply pull the SD card to view images on my computer, and I only had to change batteries about three times between the months of August and December. Next came my venture into the infrared world. That camera was awesome. Though it failed to capture game at a distance, it seemed deer tolerated the infrared flash better, and it captured clear 8MP images stamped with the current time, moon phase and temperature. I had very few false triggers with that camera, and the batteries lasted the entire season. Since that infrared model, my trail camera arsenal has grown substantially. Today, I have cameras that will go an entire 365 days on a single set of batteries, rarely false trigger, capture game perfectly and don’t utilize any sort of flash. I even have one that will send pictures instantly to my cellular devices. Pretty cool, huh? Even cooler is the fact that Team AB was recently able to sit down with a man who has been in the trail camera game from the beginning and has played a monumental role in the evolution of these popular devices. A man, that trail camera lovers owe a tip of the hat. Yep, Mark Cuddeback has been there from the beginning. 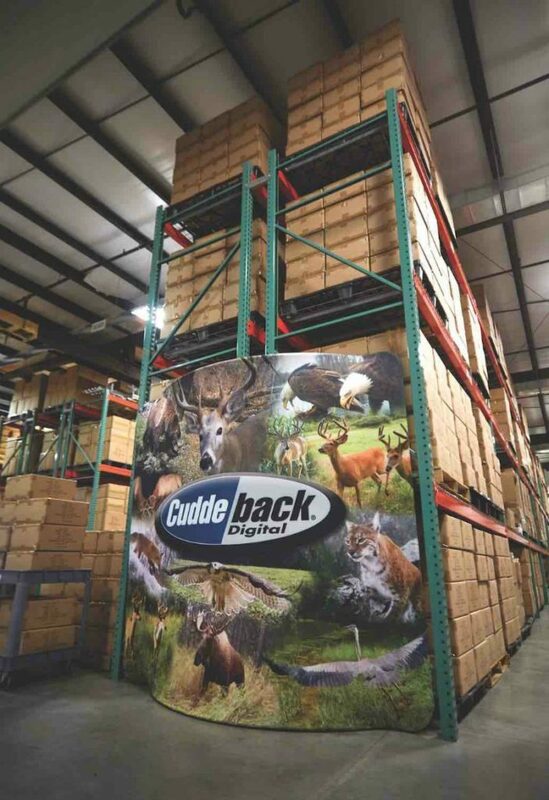 AB: Can you tell us a little about the history of Cuddeback? Mark: I began developing my first trail camera in 1984. 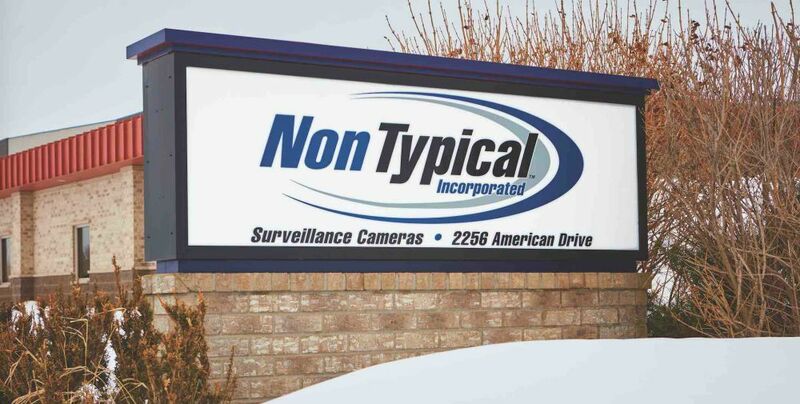 Once I realized how beneficial trail cameras were, I founded Non Typical, Inc. and began selling the DeerCam in 1989. Cuddeback is the oldest trail camera brand on the market today. 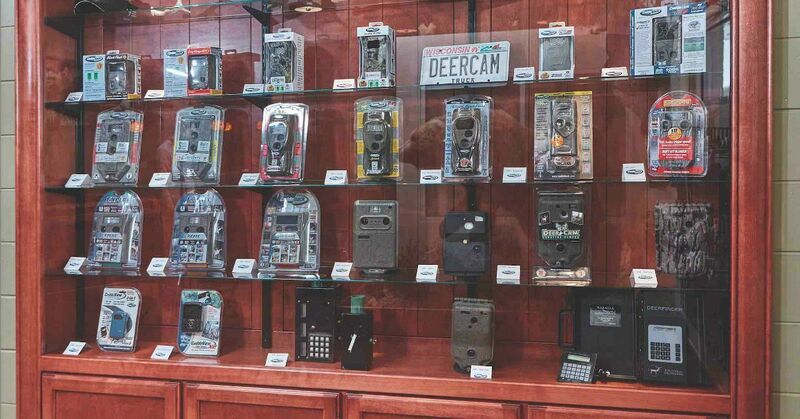 We pioneered film trail cameras, digital cameras, and now mesh network and cell cameras. Our goal has always been to build the best high-performance trail camera possible. 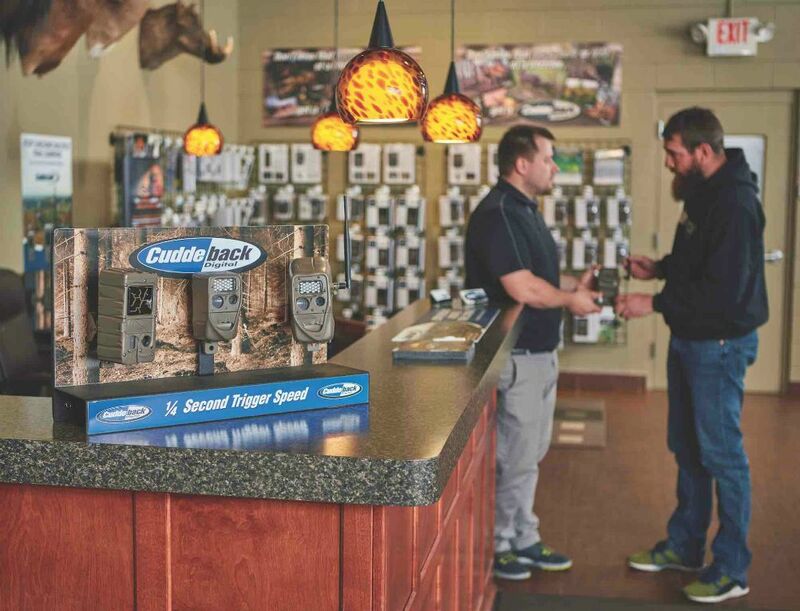 AB: What sets Cuddeback apart from other camera manufacturers? Mark: Many companies simply import cameras from Chinese Original Equipment Manufacturers, and these importers do not have the experience or staff trained in electronics or camera development. Cuddeback approaches it a different way. We are hunters. We have a dedicated engineering staff that designs our cameras. We have spent thousands of hours over many years to research, develop, test and bring to market exciting new trail camera technology. AB: How important is it to have a very fast trigger speed on a trail camera? Mark: I feel the purpose of a trail camera it to take a picture of every deer that passes the camera, regardless of how fast the deer is moving. A slow-triggering camera will miss running deer and even many walking deer. 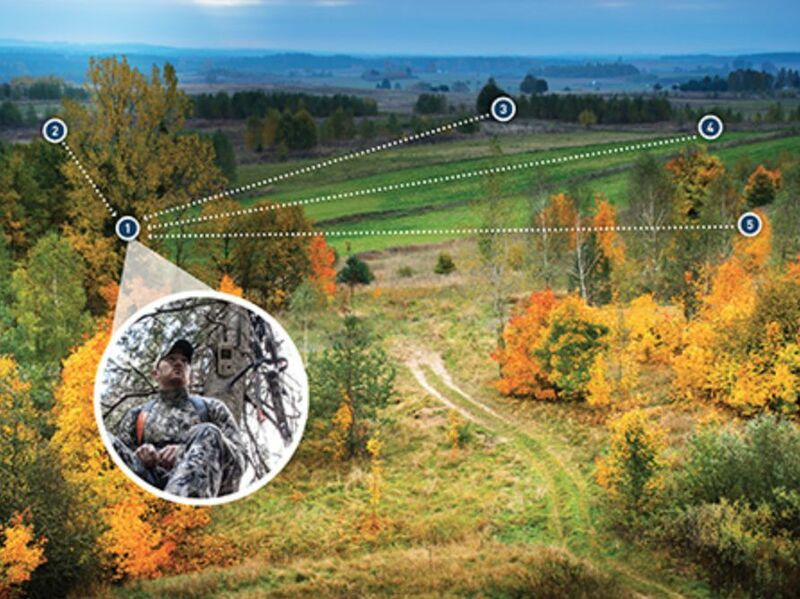 Cuddeback has legendary, industry-leading trigger speed for more animals and fewer blanks. AB: What makes the most difference in terms of image quality? Is that related to megapixels, or is it something else? Mark: Image quality is controlled by many variables, and most hunters assume image quality is 100 percent a factor of megapixels. The reality is that the CMOS image sensor quality is the most important feature, followed by lens and the digital image processing. Megapixels would be low on the list for image quality. Cuddeback cameras feature a high-end image sensor that costs up to four times more than the sensors used in many other brands. For night-image quality, illumination is critical. More light output will produce better-quality images. And, despite what some think, it is not as simple as adding more LEDs because the batteries only have sufficient power for a certain number of LEDs. To improve upon this, we have introduced our patented Power House technology, which uses super capacitors to store energy to drive the LEDs. Using this technology, we have tripled the amount of light that can be produced by a trail camera. The result is sharper IR images, increased illumination range and virtually no motion blur. AB: How do you compete with trail camera companies selling cameras for lower prices? Mark: Much like high-end guns and optic companies, we decided we will not sacrifice quality or performance to sell cameras. We have found that there is always a select group of people who will pay more for a product with incredible quality. AB: Let’s talk about the new CuddeLink technology. What features does CuddeLink introduce, and what problems is it designed to solve? Mark: Checking trail cameras has always been a necessary burden that takes time, leaves human scent in the field and can spook deer. CuddeLink eliminates all the problems with checking trail cameras. Instead of the hunter traveling to the cameras, the images travel to the hunter. CuddeLink cameras wirelessly transmit images they record to a single central image-collection camera. The hunter only needs to check this one camera to retrieve the images from all their cameras. With CuddeLink Cell, the images from all the cameras are emailed to the hunter, but instead of the added expense of multiple cell cameras and cell service, there is only one cell camera and one cell service. This equates to only $15 per month for up to 16 CuddeLink cameras, versus huge money for the traditional cell camera. It’s a real problem solver. AB: What Cuddeback cameras work with CuddeLink? Mark: There are over a dozen models under the J Series and G Series. The J Series cameras are high performance yet economical. The G Series are our flagship cameras that feature ultra-high performance with innovative and patented technology. Our Power House illuminators deliver unprecedented light output for superior image quality with very little to no motion blur. 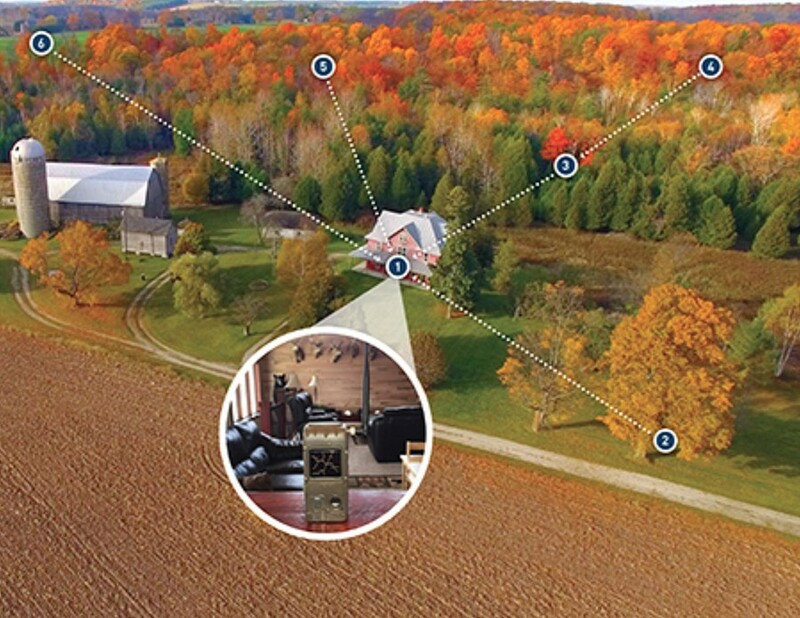 On this farm, the CuddeLink user has the Home Camera in his house. Five remote cameras send images to Home. The hunter doesn’t have to leave his house to check his trail cameras. Here, a CuddeLink user is monitoring deer trails leading to a food plot. He collects the images by having the Home Camera in his treestand. AB: How is Cuddeback able to make cameras that are so reliable, but still reasonably priced? Mark: The key to making high-performance and reliable cameras is our engineering talent. The key to doing this at a reasonable price is controlling our costs and achieving sufficiently high sales volume to maximize economics of scale. We strive to perfect these three tasks. We have the best engineering talent and spend the time to design a quality product. We never rush a product to market. We carefully control our overhead and avoid unnecessary spending, and by aggressively marketing and pricing our products we achieve sufficient economics of scale to drive the price down. AB: It seems the big complaints amongst the trail camera crowd are blurry images, hundreds of images of nothing and half-captured images. How does Cuddeback make sure these things don’t happen with their cameras? Mark: Hunters certainly understand that a more expensive gun or bow will generally outperform a low-cost model. 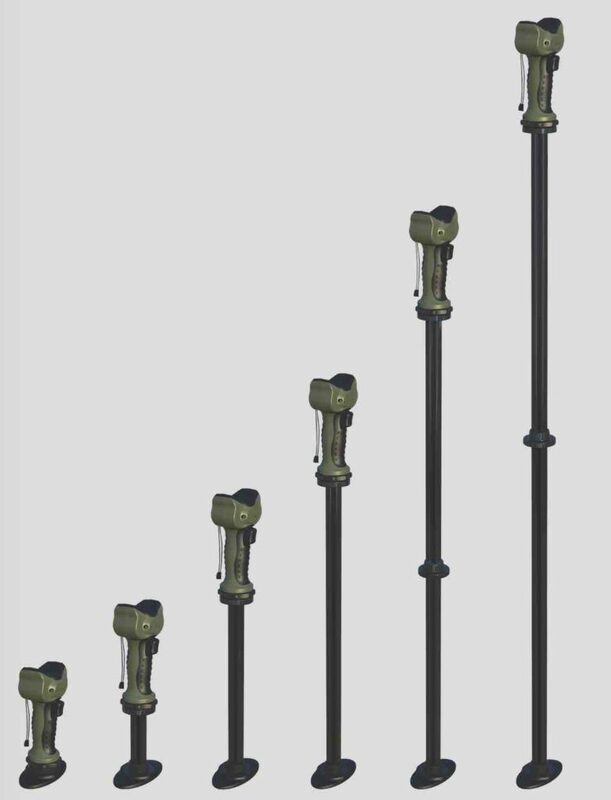 Cuddeback uses quality components and is dedicated to better engineering when products are designed. This is why we develop our own cameras, and why I spend 100 or more days per year field-testing cameras. Camera development is a team effort that our staff takes great pride in. AB: Tell me a little bit more about what you do when you are field-testing these cameras? Mark: I own property where I field test cameras. At any given time, I will have from 5 to 30 cameras out and running. My property is in northern Wisconsin where January temperatures drop to negative 30-degrees Fahrenheit, and are seldom above 15 degrees. This hostile environment is the perfect place to test battery performance and our new solar panel, which has been running a CuddeLink camera uninterrupted thru two winters. In addition to torture testing, I evaluate camera performance on trails, bear baits, food plots and even road ways. Our goal is to make cameras that work everywhere a customer will put them. AB: Is there anything you do for retailers that sets you apart from your competition? Mark: We appreciate all of our retail partners and realize that the independent dealer is truly the lifeblood of our industry, so we want to support them in any way we can. We also recognize that stocking cameras can require a significant investment, so this year we are implementing a new system that will allow the retailer to display our products and sell to the customer without stocking dozens of cameras. Our retail display walks customers through our product line and the features and benefits of CuddeLink On-Site and CuddeLink Cell. From this, customers place their order directly through the retailer, and we ship the product to the customer or retailer. We believe this program will allow retailers to achieve incredible turns and will drive multiple visits to the retailer without requiring them to invest heavily in inventory. AB: Tell me a little bit about your new product, Solid Aim. Are you excited to expand your reach beyond trail cameras? Mark: I never used a shooting stick, but I knew I needed one. It was the size and bulk of them that kept me from taking one afield. Then, one winter day, I was cleaning up my garage and I just happened to have a tape measure in one hand and a shooting stick in the other. I immediately realized that I could combine the 2 items and make a super short shooting stick, and that’s how Solid Aim was born. The first response from people is wide-open eyes as they try to understand how an 8-inch device can expand to 5 feet. 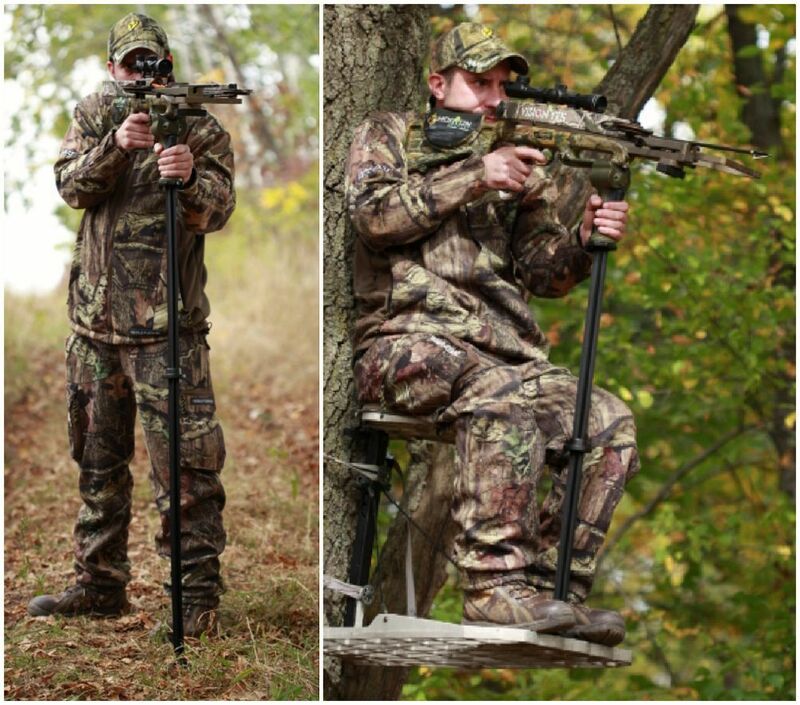 The initial response is, “That’s cool.” It is a cool product and I like to think that many hunters, like myself, who never used a shooting stick, now will. Designed for those that live more than a stone’s throw from their hunting grounds, or for those who simply want the convenience of having images sent directly to their email, CuddeLink Cell allows your Cuddeback cameras to send images to one central home camera. The home camera will then automatically email all of the collected images directly to your inbox, allowing you to view all of your photos on your cellphone or computer from the comfort of your home or office. And at only $15 per month, users can receive images from up to 16 cameras, making this innovative system an invaluable and economical scouting tool. Expanding its industry presence, Non-Typical Inc. has launched a new product that is sure to excite crossbow enthusiasts. Solid Aim is an extremely versatile shooting stick designed to help keep crossbow goers rock-steady during practice and when the moment of truth arrives. Most shooting sticks assist with steadying the weapon, but are often cumbersome and difficult to tote afield. The compact Solid Aim can be adjusted from 8 inches in length to over 60 inches and will pivot 180 degrees from left to right for easy aiming and rapid target acquisition. The Solid Aim can be used in any shooting position one can imagine and in a wide variety of hunting scenarios, such as stalking, blind hunting and even shooting from a treestand.